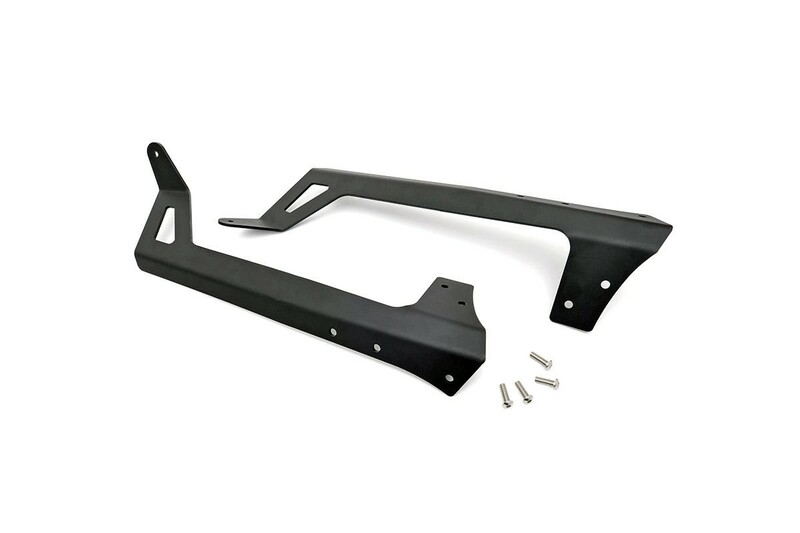 With durable steel construction and aggressive good looks, Rough Country's 50-inch LED Upper Windshield Light Bar Bracket is the ultimate solution for adding our premiere lighting system to your Jeep JK. 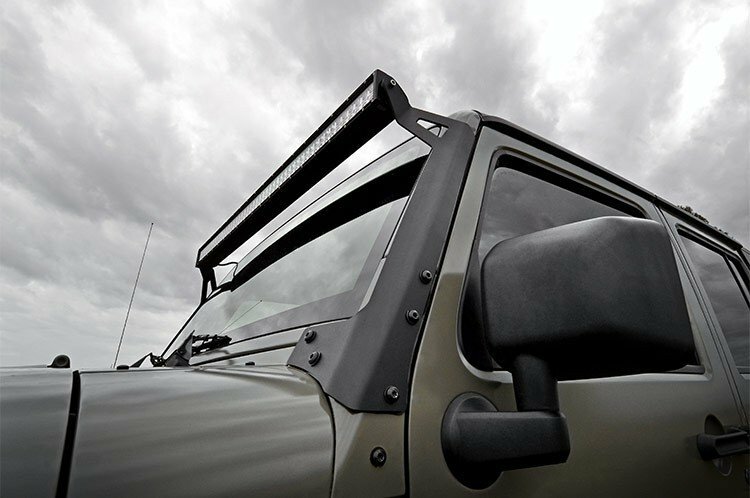 With its modern, stylistic design and superior strength, this upper windshield mount holds your 50-inch Light Bar between the top of your Wrangler's windshield and roof, spanning the entire width of the roof and giving a killer look. 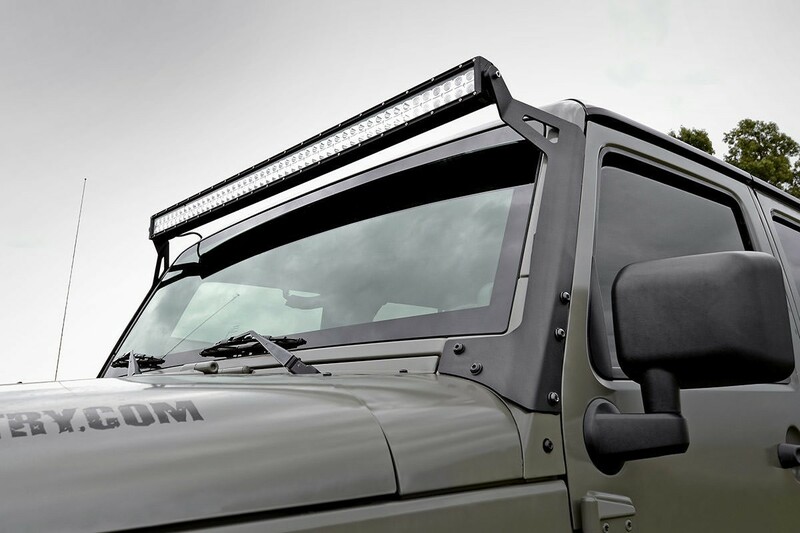 Fits any standard 50-inch Off-Road LED Light.